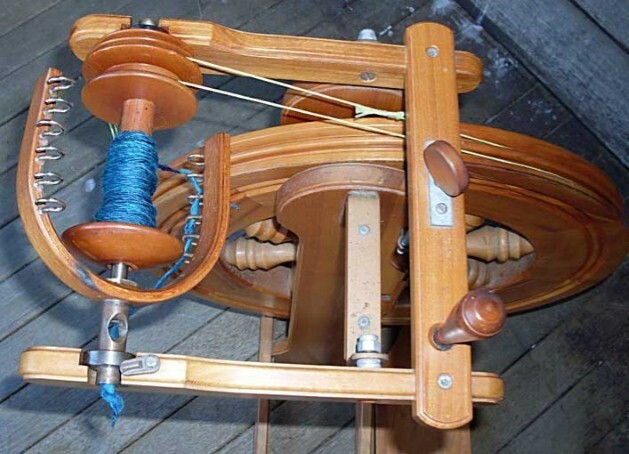 In single drive, the difference in rotational speeds of the bobbin and flyer is caused by a brake band on one or the other. In double drive, the difference in rotational speeds is dictated by the difference in diameter of bobbin and flyer pulleys. 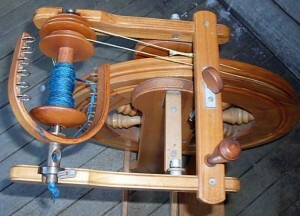 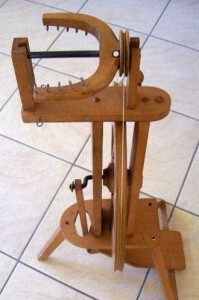 Driveband makes two loops, one around flyer pulley, and one around bobbin pulley.